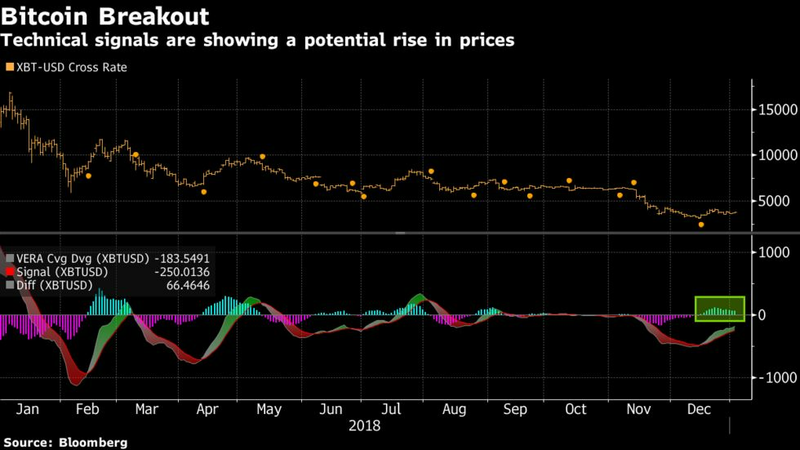 According to Bloomberg, the GTI Vera Convergence Divergence indicator (sounds fancy) shows that Bitcoin (BTC) is in the midst of a 6-month buying streak and, should this buying pressure continue could lead to a rise in prices. Bloomberg also asserts that their crypto index the Bloomberg galaxy index – which tracks 5 major cryptocurrencies – suggests similar findings to the GTI indicator. Moreover, In Bitcoin’s stead, comes Ethereum, which has incrementally risen by more than 80% over the past month alone and since it hit an all-time low back in mid-December.